First off pick your favorite Tag Metals Grip we have 3 models to choose from and a variety of colors. -We like using a utility razor blade knife and cut down the grip flange and down the length of the grip to the end. (Be careful keep your fingers out of the way and use best safety practices when handling the sharp razor blade knife). -Thoroughly clean the bar & throttle tube, remove all the old grime and glue residue. Scrape any left over glue with edge of the knife, then use contact cleaner, wipe clean and let dry. 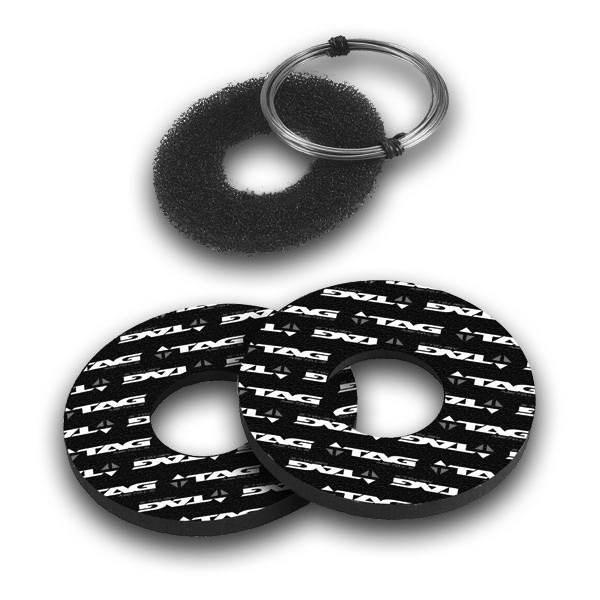 -We like warming or heating the grips up so they are soft just before installing them. You can use a hair dryer or sunny spot outside. -If you use a half waffle grip make sure you have the half waffle pattern in the right position. 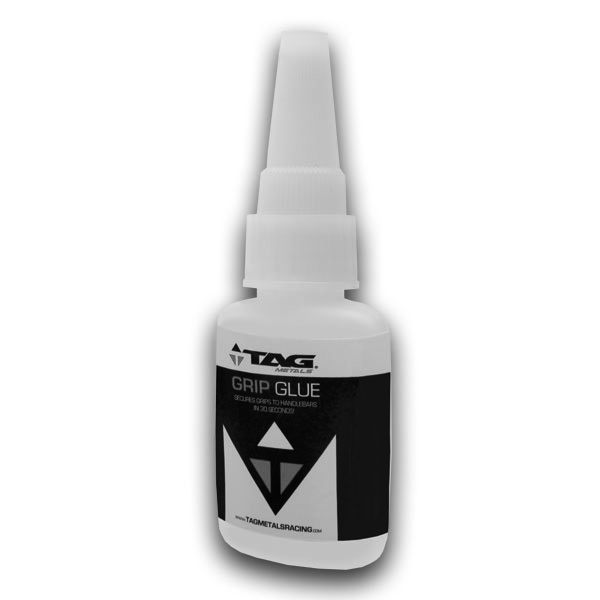 -Make sure the glue is applied thoroughly throughout the inside of the grip. -Slide and twist the grips into position. Make sure the grip is all the way on and small end is up against the throttle and bar end. -Lift the flange of the grip away from bar to release any air build up. -Make sure throttle action is free and smooth and new grip is not restricting your throttle action. -Let dry for 2 hours minimum before riding. We like to apply safety wire at the front near base of the flange , middle of the grip and quarter inch in from small end of the grip. We circle or loop the grip wire 2 times around grip. We use safety wire pliers to twist tie the wire, trim and push the end into grip. ***MAKE SURE YOUR GRIPS ARE ALWAYS SECURED PROPERLY.